Baked curry chicken wing recipe is not an Traditional Chinese recipes, Chinese use stir fry, steam and stew a lot, but now more and more Chinese family are trying to bake food. You can pour some spicy powder on the chicken wings. Chinesefoodsrecipe.com is a Chinese food Blog which provides the simple easy Chinese food Recipes. 6. place all chicken wings on the grill and put tinfoil under grill, preheat over with 200 degree. Heat the chicken wings for 2o minutes. After 10 minutes, turn over chicken wings to another side. 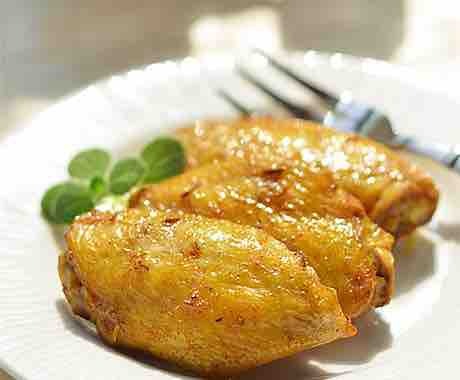 2. soak chicken wings with seasoning over night, and you won’t be disappointed with the taste.